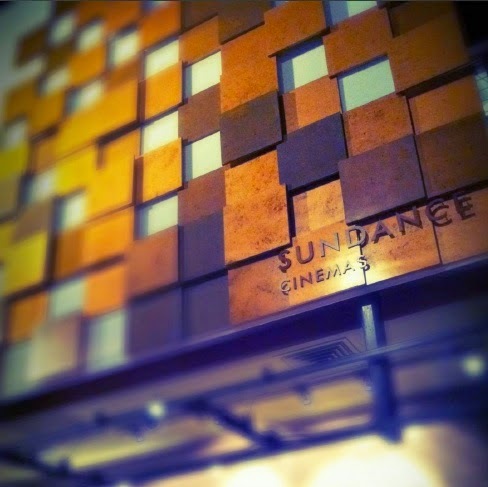 CALDE DELIZIE : FIND OUT ALL ABOUT SUNDANCE CINEMAS! 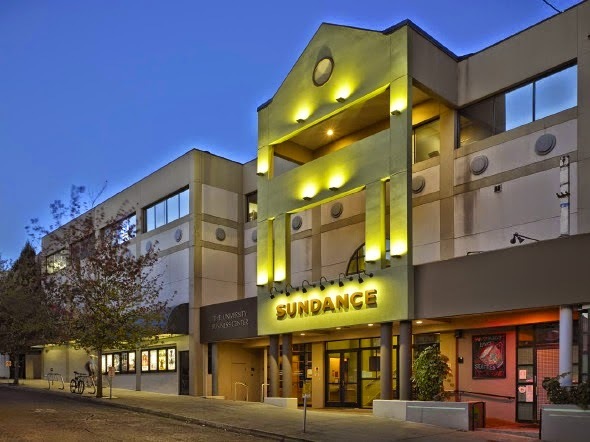 FIND OUT ALL ABOUT SUNDANCE CINEMAS! During my US trip I had the fantastic opportunity, and great honor, to chat with Paul Richardson president of Sundance Cinemas. 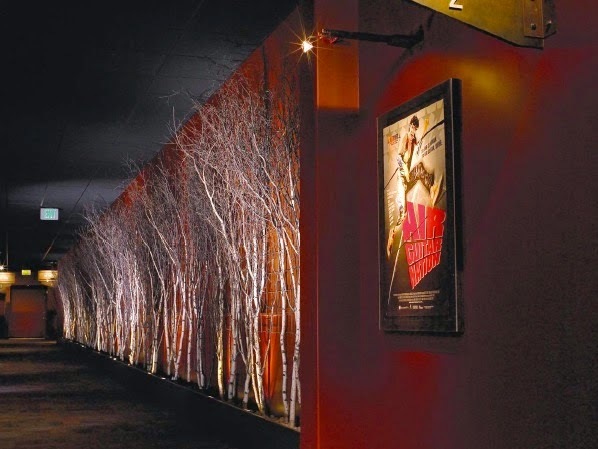 Created within Robert Redford's Sundance Group in 2006 the Cinemas are located in San Francisco, Los Angeles, Houston, Madison and Seattle, but more locations are planned to open. I guess you are very curious to know all about this great venture of one of the most influential players devoted to giving voice to talents in the indi film world. Enjoy! 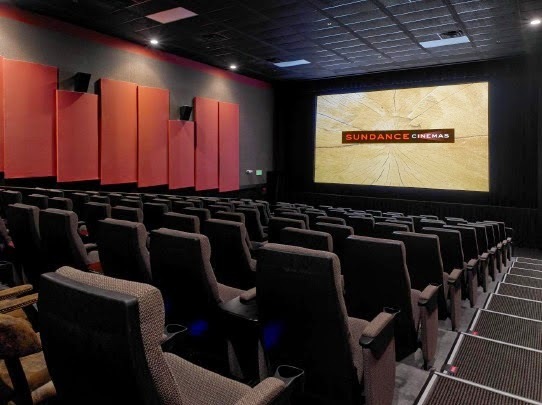 Tell us a little of Sundance Cinemas' story: how was the decision taken to start opening movie theaters in the US? 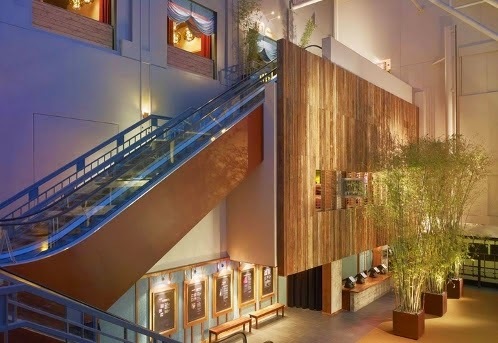 The Cinemas came about because in the Sundance world even if the Festival is non-profit, there are several for profit companies involved (the Sundance Catalogue, the Sundance TV channel..) and cinemas were a natural output of these interests. We put together the Cinemas with the idea of being a testimonial of the Sundance group across the country and our mission is the same of all the other entities: to showcase young and unknown artists. The challenge of course is paying the bill: we try to find the right path playing a selection of quality movies made in Hollywood, a lot of independent movies and foreign language films. From an operating point of view we took inspiration from the European cinemas in order to create a comfortable environment for grown-ups (we don’t call them adults for obvious reasons...) and we play around with what I call the Sundance aesthetics which means using natural materials to make a local interpretation of our philosophy in all the different cities we opened. How did you chose the cities you are located in? It’s a combination of things, but is very much driven by real estate's opportunities. I chose locations where I can find a nice facility that has all the amenities that people want and that could be affordable to us. I always look also for markets that have highly educated people and at least half a million inhabitants. I’m very interested in talking about the programming of your 5 movie theaters. The offer varies a little in each cinema: is it because you really want to get to know your communities? Yes, it’s very localized! Part of it, it's because in some communities there is already a museum or activities that are film related while in other communities people have less opportunities so we feel we have to step up in a different way. Moreover we can differentiate the programming because we have the possibility to chose among a large and heterogeneous selections of works. First of all we can pick among Hollywood crossover movies that have quality and luckily there are more and more of them (just think about the Academy Awards nominations this year). On a second hand there is a bigger choice also in the indi film world now that the bar is lower concerning the cost of making movies. Of course even if there are different ways to distribute their works new filmmakers still like to have their films played in a movie theater and we try to help with that! What about the world cinema? How do you select foreign language films? Usually we chose international movies attached to a US distributor because the marketing effort behind it comes in extra help. Most of all if we talk about subtitled movies: those are the hardest to sell to the audience. As a professional working in this world I have to ask you the question about dubbing: in Italy all foreign films are dubbed, in the States they are subtitled. What is the reasoning behind this choice? Our audience over the years told us loud and clear that they want to see the movies in the original language. They want to hear the inflection of the actors while speaking their language, they want the words to match the lips, basically they want to feel that it's real and they don’t mind to do the extra work of reading. Moreover, they believe they are going to get the exact meaning while reading the subtitles because most of the times the translation is more accurate. We did try to play the same movie (a Japanese animated film) both dubbed and subtitled: the subtitled run always performed better than the dubbed showcase which means that the audience made its choice. And we give them what they want. What about the San Francisco Opera and the National Theater of London? We are always looking for interesting content of artistic value that can be shown and both programmings you mentioned work very well. There is a huge audience for the San Francisco Opera and the people absolutely love the plays of the National Theater. What’s the connection between the Sundance TV channel and Sundance Cinemas concerning the programming? We are sister companies: there is a lot of back and forth where we try to be complementary businesses. The Sundance TV channel sometimes would use our theaters to showcase in special events some of the new shows that are coming out and we also cooperate with them showing their shorts before our films. We do the same with the Sundance Institute and the Sundance Catalogue giving space to their works and organizing previews for their clients. You also have art galleries! 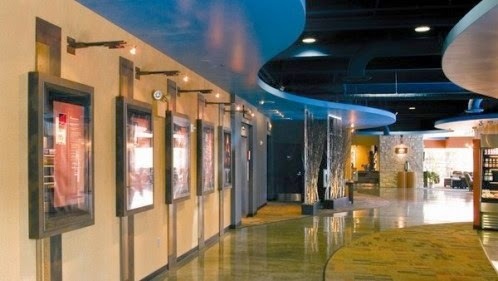 We have an art gallery in each one of our theaters where we showcase local artists changing show every quarter. We organize for them mini openings, but we don't act like a typical gallery since we don’t have any part in the sale. I read that your locations are very environmental conscious about food and its containers. Yes! We are very conscious considering that in other theaters usually popcorn, beverages and candies are not packaged in a compostable container. On the contrary we decided to package our candies and our food in order to be environmentally conscious most of all in our San Francisco theatre where nobody can bring inside anything which is not compostable. Will you go internationally with your Cinemas?